We will be holding our 2018 eBike demo weekend on Saturday & Sunday 17th and 18th March 2018. 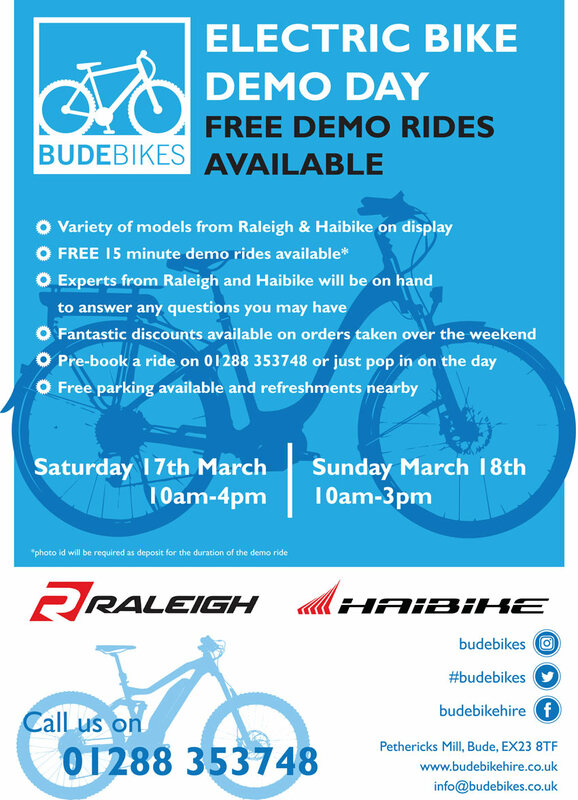 Many models from Raleigh & Haibike will be available for test rides between 10 am and 4pm, as well as experts from both companies on hand to answer all of your questions on ebikes! And just to get you kicked off; click here for the answers to some common questions, or click the logos below for more information on the bike ranges.